Nostalgia – \nä-ˈstal-jə, nə- also nȯ-, nō-; nə-ˈstäl-\ : pleasure and sadness that is caused by remembering something from the past and wishing that you could experience it again. I don’t know about you, but I for one remember cups of coffee with friends, with family. 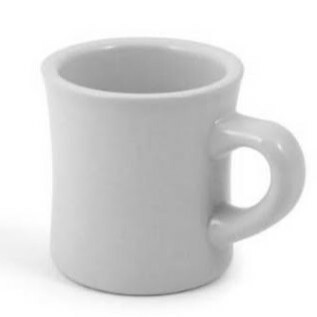 I look into a thick white stocky cup and think of my brother at the bustling breakfast café where we solved many of life’s problems. Or at least tried to. That same white cup lures me back to college days at the student union. It’s a utilitarian plainness that invites me to envision the guys building the Empire State Building back in the 30s, or someone out on a railroad crew or a cowboy coming in for breakfast, smelling of wet hay or worse. I’ve been to many independent coffee shops where the ambiance — the memorabilia that create the bittersweet taste of nostalgia — is as important as the taste of the coffee.